When Tessa Talman meets Simon Fremont for the first time, not only is she attracted to him, she’s intrigued by how different their lives are. 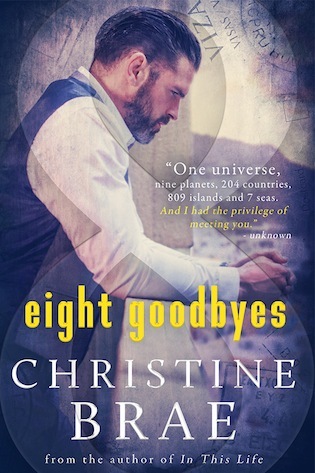 He’s a dedicated scientist, practical, pragmatic, and grounded—while she’s a head-in-the-clouds romance author. As their relationship grows, they agree to meet in places around the world, while continuing to live on opposite sides of the globe. Though their feelings for each other deepen, their priorities remain the same. Simon is in a hurry to be financially sound and settle down, but Tessa is enjoying her freedom and newfound success. Neither is willing to give in, but as each goodbye gets harder, Tessa begins to wonder whether fame is the path to happiness, or if she has everything she needs in Simon.